29 March The Press Programme to combat domestic violence The Integrated Safety Response (ISR), a programme to combat domestic violence, is about 18 months into a three-year pilot in Christchurch and Waikato. 26 March NZ Herald New social worker team to tackle child abuse with BoP police An extra team of social workers to solely focus on child protection has been established to work alongside police in the eastern Bay of Plenty following the death of Isaiah Neil. 20 March Newstalk ZB Tracey Inwood: Being a foster parent Tracey and Phil Inwood have been foster parents for the last 19 years, and have cared for over 100 children in that time. 16 March NZ Herald Baby suffers multiple 'significant' fractures since birth Police appeal for information after a baby suffered 16 fractures to her skull, ribs, arms and legs. 14 March RNZ Children kept in police cells an ongoing problem A lawyer representing a fifteen-year-old boy who was held for six nights in police custody, says that's too long. 12 March NZ Herald Call for more foster caregivers A sign of trust from your foster child is the biggest reward in the job. That's why Wellington woman Michelle fosters kids. 9 March Southland Times Invercargill caregivers receive national award Two Invercargill couples have between them cared for nearly 150 children. 9 March RNZ Foster parents who have provided a home for over 100 kids Malcolm and Brenda Yorston who have been foster carers for more than 35 years. 9 March The Press The Christchurch foster parents who have cared for nearly 200 children When Tracy Inwood held her first foster child's new baby, it reinforced why she became a caregiver. 7 March Newshub One in four NZ children involved with child protection services One in four New Zealand children have been involved with child protection services, according to new research. 5 March RNZ Jacinda Ardern answers Kiwi kids' questions for Children's Day Children grill Prime Minister Jacinda Ardern on Children’s Day. 20 February RNZ Crucial child custody report delayed 10 weeks Questions about response times and staffing at Oranga Tamariki Masterton office. 13 February RNZ Child abuse hotline overwhelmed by calls High volumes led to delays at the Oranga Tamariki National Contact Centre. 6 February RNZ Oranga Tamariki site manager Aroha Tahere speaks on Waitangi Site Manager Aroha Tahere talks about the work Oranga Tamariki does for the children of Northland. 5 February NZ Herald Editorial: Abuse inquiry sensibly ring-fenced Announcement of inquiry into abuse of people in state care. 2 February Central Otago News Oranga Tamariki expanding base Oranga Tamariki is expanding its office in Alexandra due to the population increases in Central Otago. 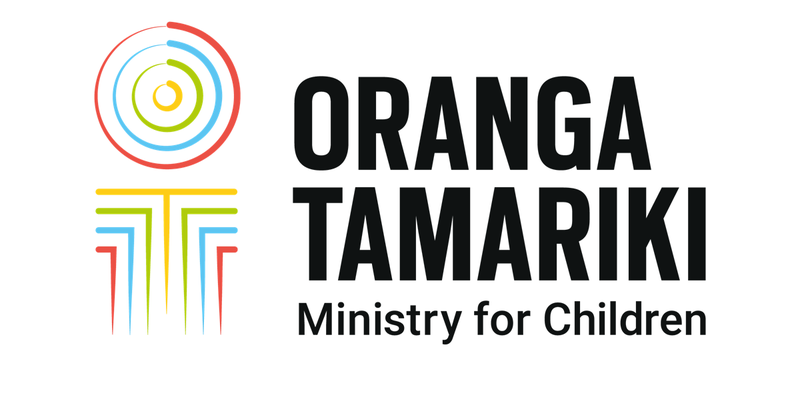 1 February Stuff Children's Ministry boss underestimated intensity of public interest Gráinne Moss reflecting on her first eight months as chief executive of Oranga Tamariki–Ministry for Children. The Ministry drops the word 'vulnerable' from its name. New Minister for Children Tracey Martin says there is an urgent need to provide better support for children and young people in care or youth justice services. In response to coverage of the baby with 'the broken bones' story, Oranga Tamariki Chief Social Worker Paul Nixon explains the careful process behind taking a child into state custody. Dunedin's approach to working with some of the most vulnerable young people impressed the Minister for Children Tracey Martin. Oranga Tamariki—the Ministry for Children needed more than just a new name, it needed to fill more than 100 social work jobs.